Several UN Security Council ambassadors on Tuesday voiced concern over the fate of civilians in the rebel-held Syrian province of Idlib, as Damascus appears ready to militarily re-take the region. Following a council meeting on the humanitarian situation in Syria, Western nations warned of the dire consequences of an attack by the government of Bashar al-Assad. "There are alarming signs of a pending military offensive in northwestern Syria," said Carl Skau, Sweden's ambassador to the Security Council. "Increased military escalation," he warned, "would have catastrophic consequences and can lead to a humanitarian disaster." The strategically important northwestern province of Idlib borders on Turkey and is the last holdout of rebels in Syria. John Ging, a senior official with the UN Humanitarian Affairs office, said that observers have seen a "serious deterioration of the humanitarian situation" in northwestern Syria in the past weeks. The Security Council's engagement is "critical" to de-escalate tensions in Idlib, and "to ensure safe, unimpeded and sustained humanitarian access, and to ensure the protection of civilians and civilian infrastructure," he said. Anne Gueguen, the French deputy ambassador, said that her country is "very concerned" over the signs of a large-scale Syrian offensive in Idlib, recalling that any use of chemical weapons will mean military response from Washington, Paris and London. "The lives of 2.2 million people are at stake," Gueguen said. She said that the bombing "that has intensified in recent weeks must stop immediately." British ambassador Karen Pierce, who described the situation in Idlib as "dire," warned that there will be "no reconstruction assistance until there is a credible and ongoing political process" in Syria. 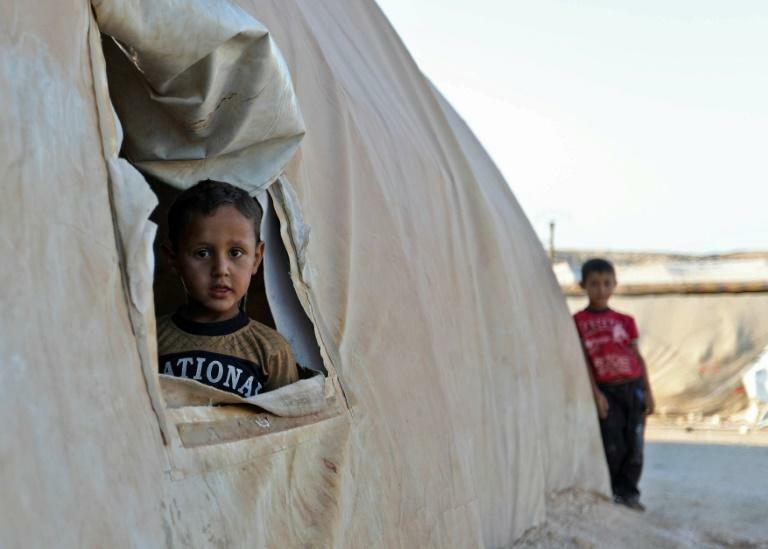 Washington, in turn, is "gravely concerned about the threats to civilian lives should the regime and its allies undertake a wider offensive in Idlib province," said Kelley Currie, with the US diplomatic mission at the United Nations. The United States "is also deeply concerned that the regime may again use chemical weapons against civilian populations as part of its assault on Idlib, with devastating consequences for humanitarian conditions on the ground and further eroding the international regime prohibiting the use of chemical weapons," she said. Russia's envoy, however, defended the Syrian government's right to regain control over the restive province. "The situation in Syria is stabilizing," said Ambassador Vassily Nebenzia, adding that the Assad regime "has given security guarantees ... for a return of refugees." Nebenzia criticized what he described as "the passive position" taken by the UN High Commissioner for Refugees on this issue. "We need to decouple moderate groups from terrorist groups" in Idlib, he said.